The city engineer works in conjunction with other city departments as well as various utility companies during both routine and emergency situations; we respond to work during emergency situations in order to clear roads after storms, spills and during snow and icy weather. 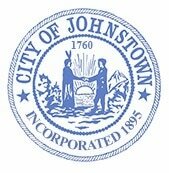 The proper and efficient conduct of all public works within the City of Johnstown, the supervision of the Department of Public Works employees and the performance of all public works contracts. The management, maintenance and operation of all the physical properties of the city; including streets, sidewalks, parks, lands, buildings, and utilities. Reviewing plans and specifications to ensure that proposed commercial, industrial and residential development is consistent with City regulations and master plans. Maintaining records of past & future projects to facilitate location of underground utilities and to identify boundaries between public and private properties. The Department of Public Works is responsible for constructing and maintaining the City’s infrastructure as it pertains to streets, sanitary sewer and storm sewer. We also provide the operation and maintenance of city-owned buildings and grounds. We accomplish some of the work with our employees and equipment; the rest is contracted to private firms, such as large paving projects. In this way, our citizens receive the benefit of the best service at the least possible cost. Our DPW employees take an active role in the beautification of the City. Maintain street markers, stop signs and various other traffic control devices (but not traffic or street lights). Maintenance and repair of roads, sewer mains, storm sewers, pump stations, parks, facility maintenance, grounds maintenance. Repairing sanitary and storm manholes & infrastructure. Removing litter and other objects from roadways. Pick up and haul trash from residential areas. Mow grass, trim and maintain shoulders & ditches on public city-owned rights-of-way on city property. Snow removal on all city streets and city-owned property. Maintenance of all Department of Public Works vehicles & equipment. Storm Water - maintains storm water management located in the public right-of-way (streets) within the city limits. This typically includes: catch basins, curb inlet drains, ditches, and underground drainage. Sanitary Sewer - maintains infrastructure, typically located in the public right-of-way (streets) within the city limits. This typically includes: sanitary sewer manholes and the main sewer line that all private connections tie into, which typically runs underground in the public right-of-way. Please note: We do not maintain sewer laterals or connections to private properties. Any maintenance / repair on sewer laterals to the sewer main is the responsibility of the property owner.